What are Sour Ales & Wild Ales? Sour ales aren’t necessarily wild ales, and wild ales aren’t always sour ales. Sour ales are beers that are brewed to be intentionally sour. Originating in Belgium, brewing sour beers can be a risky move to brewers because it is a specialized form of brewing. 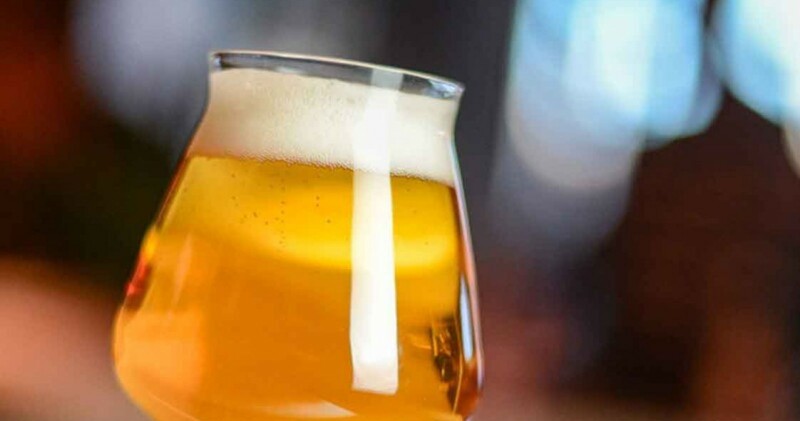 In the craft beer industry today, sour beers have moved outside of Belgium and is starting to gain popularity to other European, American and Canadian brewers. Wild ales are American beers that are brewed to have strong Brettanomyces characteristics. Sour Ales vs. Wild Ales: What’s the difference? It is not uncommon to assume that wild and sour ales are the same beer style, but did you know that not wild ales are sour? Wild ales are essentially earthy beers with a strong Brett character that presents no added acidity. The term sour beers refers to beers that are made with wild yeasts and have added bacteria that results in a sour, acidic flavour. Wild ales can be sour. The main difference between a sour ale and and a wild ale is the addition of bacterias, like Lactobacillus or Pediococcus. During the barrel aging process, these microorganisms convert unfermented sugars into lactic acid, resulting in a sour flavour. Sour beers originated in Belgium. Wild ales were first brewed in America. Sour and wild ales often result in a light golden, sometimes clear sometimes hazy yellow. Other ales can be a light copper to deep red colour. Hop aroma, flavour and bitterness can be showcased over a full range from low to high. In darker versions of wilds and sours, roasted malt, caramel and chocolate-like aromas are sometimes present. Sour ales are acidic and sometimes fruity. Sours and wilds can have either a low or high carbonation with a mouthfeel on the lighter side. What foods pair well with Sour or Wild Ales? Pair sour beers with duck or pork chops, as the acidity can be used to harmonize with fatty cuts of meat. Fruity characters in wild and sour ales pair well with light fruit dishes or spicy vegetables. Sour and wild ales are often served in a goblet or tulip glass. When it comes to serving temperature, there isn’t an exact number because sour and wild beers can all be so different. A good starting point would be somewhere between 40 – 50° F.
Berliner Weissbier, Lambics, Flanders Red Ale. Want to try some sour and wild beers? Wheat Beers: where they come from, their appearance, flavour & aroma, palate & mouthfeel, food pairings and serving suggestions are all explained in this Beer Styles 201 article. Join us as we cover Germany’s pale beer styles; from Euro/International Lagers and Kölsch to German Pilsener (not “pilsner”). A brief history and vital statistics about each pale ale or lager style. Bocks: where they come from, their appearance, flavour & aroma, palate & mouthfeel, food pairings and serving suggestions are all explained in this Beer Styles 201 article.